Rhubarb season is here at last! It felt so good to finally see something growing in my backyard this spring. I’m so glad that I planted this rhubarb several years ago. Since it’s a perennial, we’re able to harvest rhubarb long before anything else grows in my garden. Rhubarb is definitely not a typical ingredient used in Italian cooking. 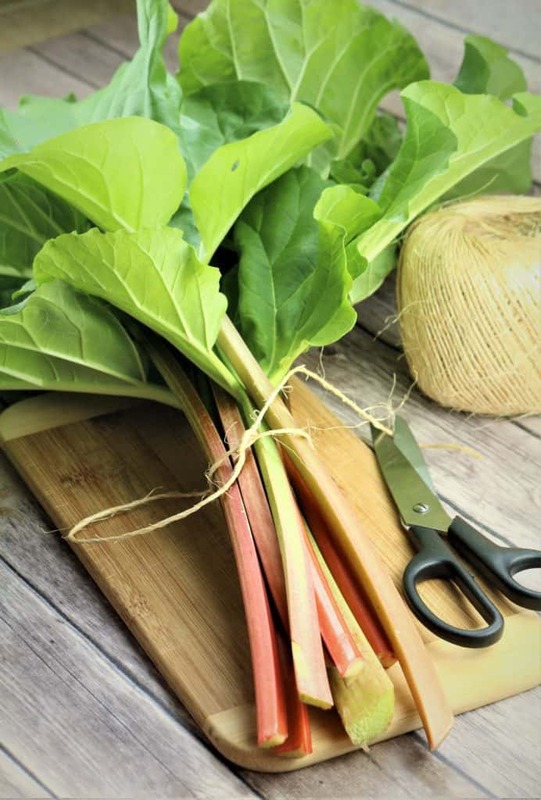 My son developed a taste for it when he was younger and since then I decided to grow my own so we can indulge in delicious rhubarb crisp and rhubarb apple sauce each spring. But I decided I wanted to try something different this year. You know how much I love ricotta in any dessert, so I decided to pair tart rhubarb with sweetened ricotta. Next, instead of a typical tart crust I wanted to use up some of my almond flour, since I had bought a large bag of it. I’m really enjoying baking with almond flour lately and I wanted to use it in a different way, other than make Chewy Amaretti. What can I say? 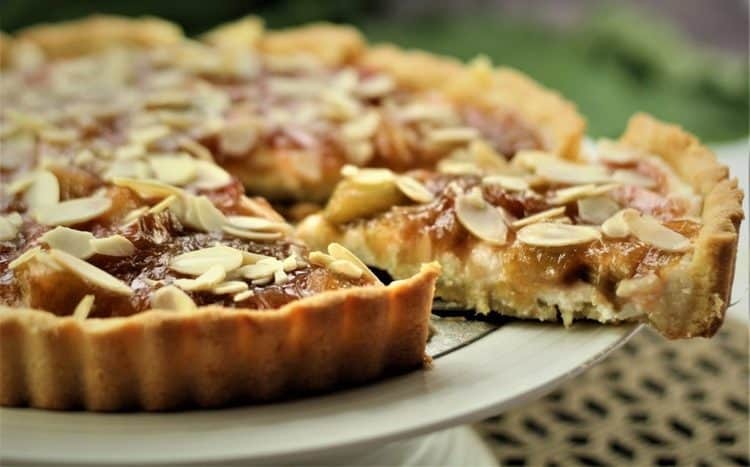 This is most definitely a winning combination and hands down the best tart I’ve ever made! 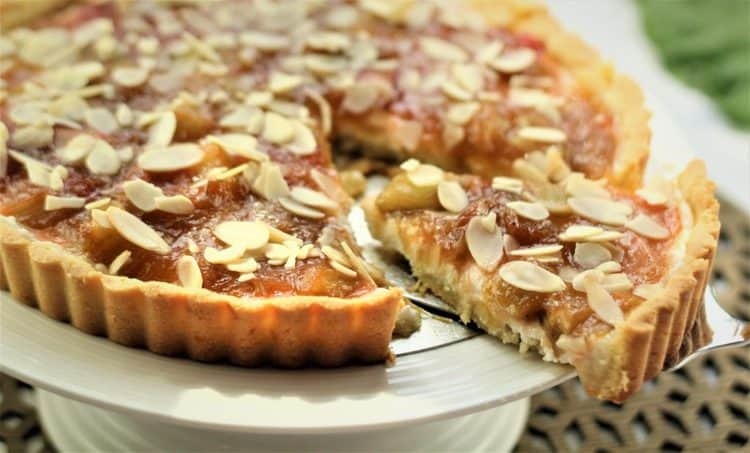 Just imagine an almond, buttery, crumbly crust, delicately flavored with orange zest, topped with a creamy, slightly sweetened layer of ricotta and finally the tart orange scented rhubarb sprinkled with crunchy almonds. The perfect balance of flavors and textures all in one dessert! I think if rhubarb was commonly found in Sicily, this would be the dessert they would make. I also took the opportunity to finally use the fluted tart pan with removable bottom that I’ve had in my cupboard for a while. And it’s so easy to use, especially with this almond flour crust that requires no rolling. All you have to do is use your fingers to press the dough onto the bottom and sides of the pan. This is my kind of crust! Just look at the end result. This fluted crust is simply elegant! 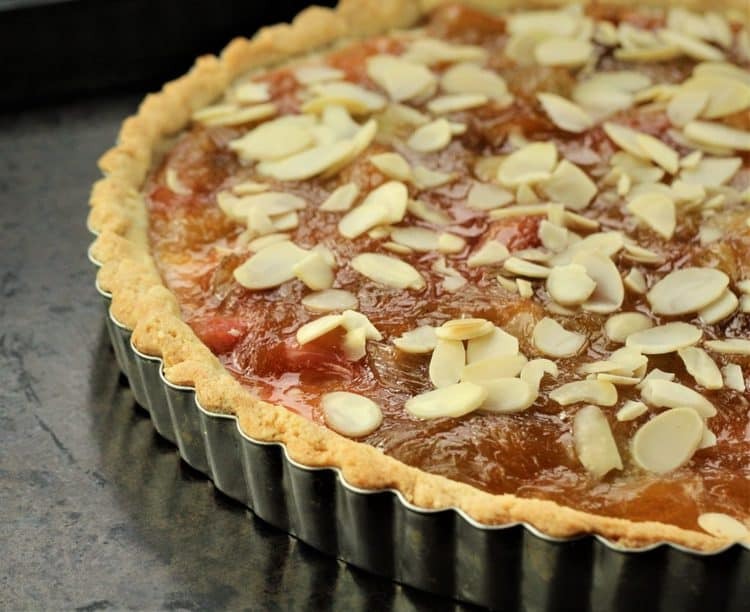 Now is the time to make this dessert, whether you have rhubarb in the garden and want to make something other than a crisp or head to your farmer’s market for some locally grown rhubarb. This gorgeous dessert is a must try! I’m thinking of swapping out the rhubarb for strawberries when they are in season. Until then, don’t forget to tag me on Instagram if you try this recipe. Buon appetito! 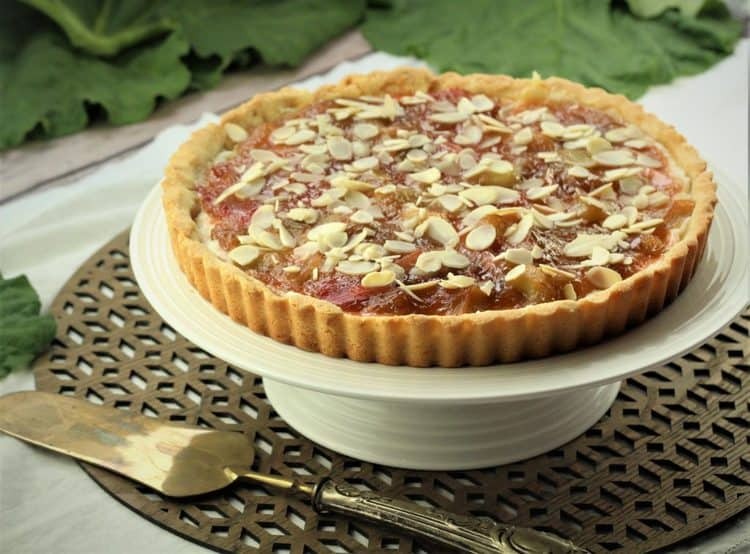 Rhubarb season is finally here again and this tart is the perfect combination of flavors and textures! 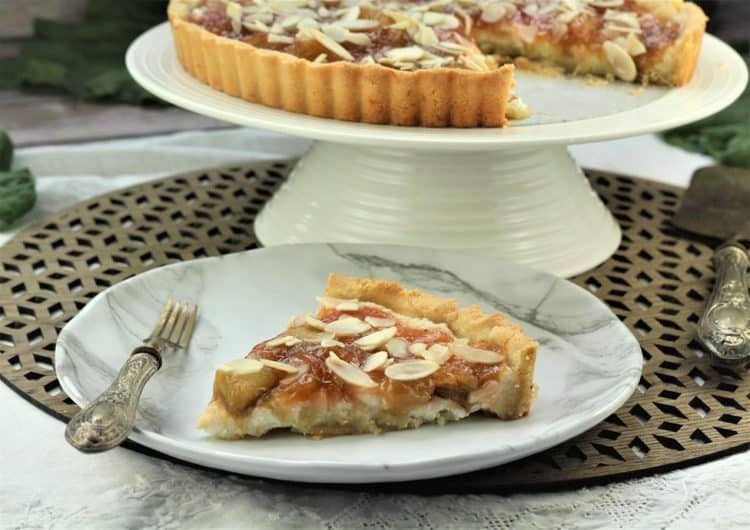 A buttery, orange scented almond crust is topped with a layer of smooth, creamy ricotta and finally tart, orange flavored rhubarb. Simply one of the best desserts I've ever created! Begin by preparing the crust. Preheat oven to 350F. In a large bowl combine almond flour, sugar, salt and orange zest. Add cubed butter and crumble with your hands until completely incorporated and the mixture resembles coarse meal. Stir in almond extract, beaten egg and, using your hands, combine until the mixture comes together to form a dough. Place the dough in a fluted tart pan with removable bottom and use your fingers to press the dough onto the bottom and sides of the pan. Poke holes in the dough with a fork. Bake for 20 minutes. Meanwhile, begin preparing the rhubarb mixture. 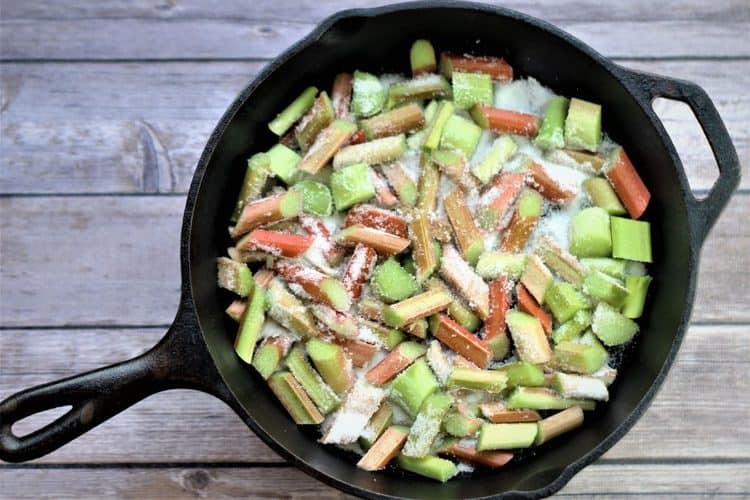 Place rhubarb pieces and sugar in a medium skillet on medium-high heat. When the mixture begins to sizzle pour in half of the orange juice. Lower to medium heat and cook for 4-5 minutes. In the last minute of cooking stir the cornstarch into the remaining orange juice. Add to the rhubarb and cook 1 minute longer until the mixture thickens. Set aside to cool for a few minutes. 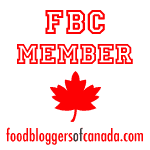 In a medium sized bowl combine the ricotta, sugar and vanilla extract. Stir until smooth. Spread the ricotta on the prepared tart crust and smooth with a spatula. 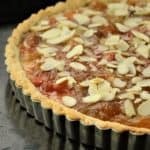 Spoon the rhubarb mixture evenly over the ricotta layer and top with slivered almonds. Bake for 25 minutes until the rhubarb mixture is no longer runny. 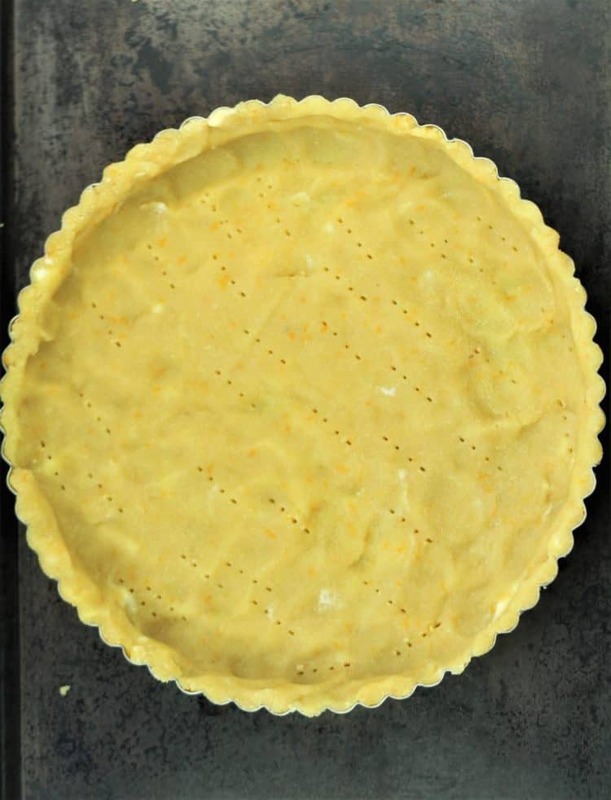 Place on a cooling rack and let cool for approximately 30 minutes before carefully separating the sides of the tart pan. Serve at room temperature or cold.